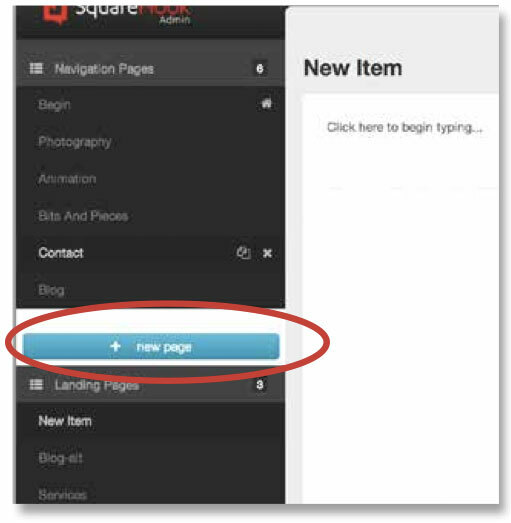 To add a portfolio page, click on the new page button on the menu on the left of the User Interface. To add a page, select the + New Page. Name your portfolio, then hit "Save Portfolio." To add images to your portfolio, click on "Add Portfolio Item." Your image library will pop up. You can choose either to apply an existing image or you may upload a new image to apply. A new box will appear with your image. 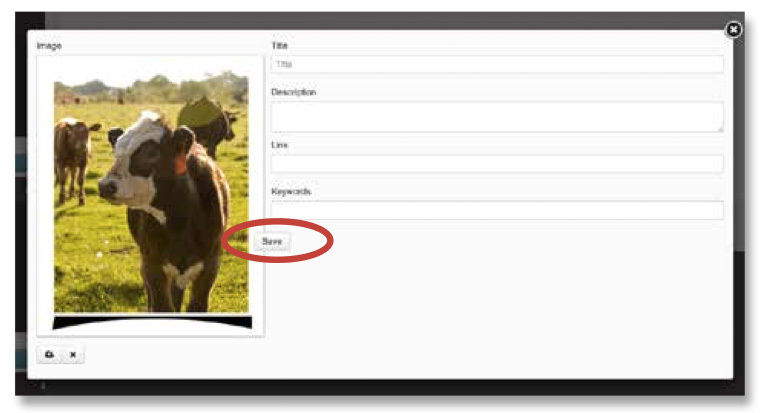 Populate the fields with image title, description, any applicable links and keywords. When you're done, hit "Save." Repeat the process for additional gallery images. To edit any of the existing images, just double click on the image. You will be brought to your image manager to choose or select a new photo to replace the existing image. You can also change the title or edit the descriptions. Here, you can put in your keywords to put the image into categories. 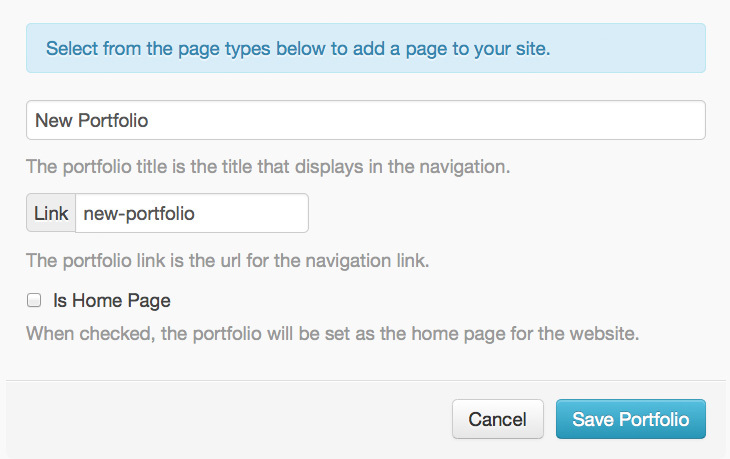 To add another portfolio image, select the "add portfolio item" button at any time. 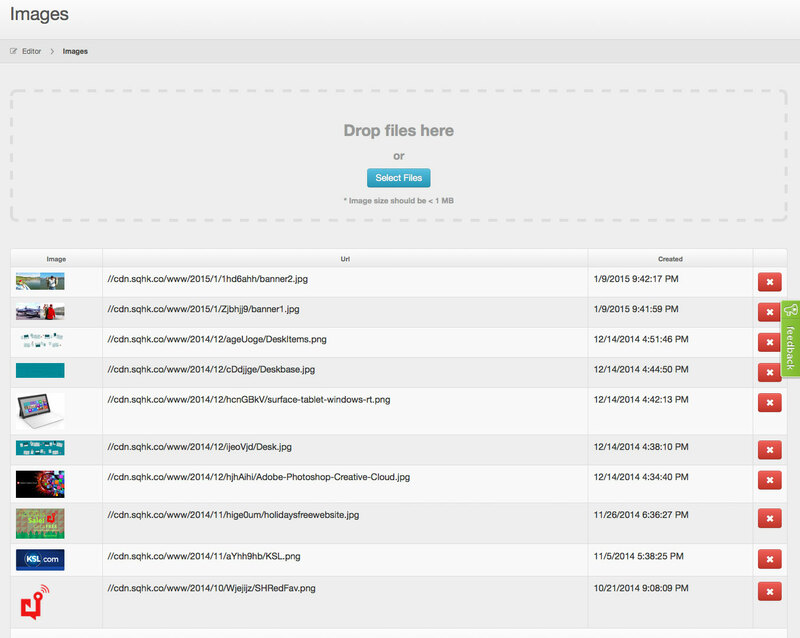 You will then be able to add an image, or access an image from your library. Once you've put in the image information, be sure to hit the "Save" button. Feel free to rearrange the images, by dragging the images into the place/order you'd prefer.